These fascinating symbols are rich in history, blending Norse Mythology along with an ancient alphabet that can be used in a multitude of ways. Join us as we'll walk through where they come from, how to interpret them and more! 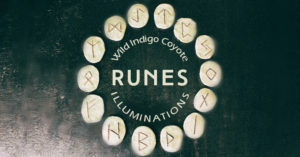 Optional materials fee of $20 to receive a set of gemstone runes at class.